With Magic 2019 fully spoiled (I think), it’s clear that Wizards wants to make core sets relevant for players of each level of engagement. New world order is clear and obvious across the set at common and uncommon, helping function as the upper level of the new player onramp. Rares and mythics up the complexity a fair bit, and also work to include a handful of welcome reprints, not least among them Scapeshift and Crucible of Worlds. We’re also getting a new cycle of the original elder dragons, and they’re seemingly much less elder and much more dragon this time around. Otherwise it’s business as usual for our types. 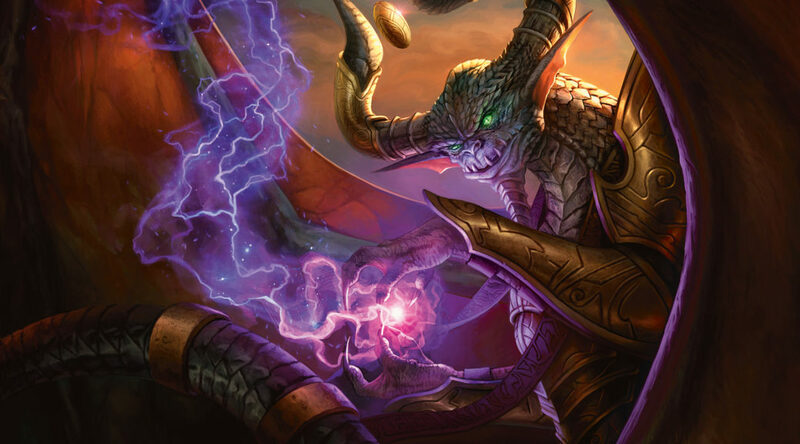 Standard is dead and irrelevant, and M19 isn’t going to change that formula. Trying to scope out what will be important in the fall is tough, as the Kaladesh and Amonket blocks are over-represented relative to Ixalan, or so it seems, at least. While I slept on Najeela at release, since I saw her as a Warrior tribal card, it’s become clear that the more relevant text is the second paragraph. Extra combat steps can get wild in EDH real fast, and when you combine that with the potential to just go infinite with the correct combination of creatures, it provides a top end that players can lean into if they so choose. There are a multitude of ways to set up that combo in this deck, as is the case for all combos in EDH. One of those paths is with Bloom Tender. If you have all five colors represented amongst your permanents, one tap of Bloom Tender makes all the mana you need to activate Najeela, which means so long as you can tap Bloom Tender every attack, you can just go ham. Wouldn’t your opponent kill Bloom Tender on the first attack though? Of course they’ll try. But if their strategy is to kill it with blocks, indestructible puts an end to that real quick. How does one get indestructible not only on Bloom Tender, but ideally the whole team? Why, Eldrazi Monument! Monument is great as a card you can slam and then immediately win the game; your opponents may realize that your victory is withheld because if you attack your team will die, only for you to plop this down and get in. It’s completely fine every other turn though, as you can play out Monument with a few creatures in play, and so long as you can generate warrior tokens or any other type of disposable creature, you can keep it up indefinitely. Basically what I’m saying is that ever Najeela deck should be running Monument. Of course Monument isn’t limited to Najeela either, which is why it’s in 10,000 EDH decks. Originally from Zendikar, it’s shown up in Commander 2015, and Commander Anthologies recently. Overall supply on non-foils is short. We’re not talking about “gone twenty minutes after this goes live” short, but certainly “less than 20 copies by winter” is realistic. Especially if Najeela drives a new generation of EDH players to acquire copies. Foils are great too at $20, though there’s maybe six copies, so it didn’t feel worth writing about exclusively. Dominaria hasn’t been out long, but Tatyova has made herself at home rapidly. According to EDHREC, she’s one of the most built commanders this week, and this month. (And has been since Dominaria released.) She’s not on the all-time list, but give it a few months. Dominaria came out like two months ago. Not only has she proven a popular commander, but she’s showing up in countless lists as part of the 99. This isn’t surprising. Gaining life is good. Drawing cards is good. And if you’re in green, a lot of lands will enter the battlefield, so that will happen a lot. A lot of cards, a lot of life. All good. Pack foils are around $4 to $5 today, and I’ll tell you this up front, supply is deep. Deeper than I typically allow for when considering cards to watch for. But this isn’t a pick of the week article, it’s a “cards to be aware of out there” article. Tatyova isn’t going to be $20 this year. But she’s going to get picked up by every single EDH player out there, possibly in multiples in many cases. That’s going to drain supply eventually, and suddenly you’ll end up with one of the most popular Simic cards in the format with a dwindling supply of foils. Muldrotha, while only two months old, is working overtime to overtake Atraxa as the most-built commander ever. He’s consistently been the most popular daily and weekly commander since Dominaria hit the shelves. Sultai is the best color combo for EDH (that isn’t 4c or 5c), and best of all, he’s completely generic. Build a tribal deck, or an enchantment deck, or a cards with art that makes you question your stated sexuality deck. Really, whatever. He just lets you play anything you want over and over. One card that’s going to be exceptional in this strategy is Hermit Druid. Longtime players know that name as a supremely degenerate combo piece. Druid was part of a combo that could kill on turn one (I believe) in Vintage way back. When Legacy was spun off of Vintage it banned Hermit Druid from the onset, and he’s been there ever since. You’ll also notice that you don’t hear his name come up in discussion of “what could be unbanned in Legacy?” very often, because most authors realize it’s not something that makes the format better by existing. This isn’t about Legacy though, it’s about EDH, and the fact that one activation of Hermit Druid can be, with proper deck construction, something akin to “G, T: draw 20 cards.” Sure they’re not in your hand per se, but with Muldrotha in play, they basically are. Nothing in EDH has really leveraged Hermit Druid as well as Muldrotha does. Between how good he is here, how underutilized he’s been so far, and how popular Muldrotha appears to be, I’d say that Hermit Druid’s time is just about upon us. Weatherlight copies at $4 are going to be getting snapped up as more and more people get on the Muldrotha train, and those few $30 judge copies are awfully tempting to boot.